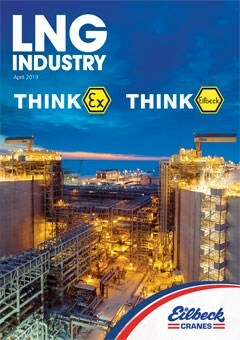 The April 2019 issue of LNG Industry features a regional report on Canada, as well as a number of technical articles on various topics, including: Cryogenic Equipment, LNG Bunkering, Loading Arms, Plant Maintenance and Software. 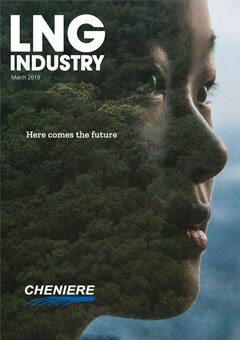 The March 2019 issue of LNG Industry features a regional report on China, as well as a number of technical articles on various topics. The February 2019 issue of LNG Industry features a regional report on Australia. 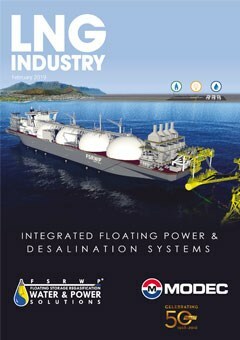 It also includes a number of technical articles on various topics, including: Compressors; LNG Terminal Design & Construction; FLNG; Pipelines & Pipe Supports; and Measurement, Control & Automation. The January 2019 issue of LNG Industry kicks off the year with a regional report on the Mediterranean. It also includes a number of technical articles on a range of subjects, including small scale LNG, liquefaction technology, transfer systems, LNG tanks, and simulation.